Do you remember being a child, unbound with an unlimited amount of inquisitiveness, creativity, playfulness and innocence? Well, that’s exactly how travel makes me feel again. It’s like I’m reliving the imaginative role playing of exploring new and exciting lands just as I did when I was young, except this time it’s real. We’ve swapped puddles for oceans, sand pits for mountains and cubby houses for villas. So, why not re-discover your childlike side and live life a little more playfully, if not for a moment? We did just that while exploring the seaside towns of the Côte d’Azur just last week. 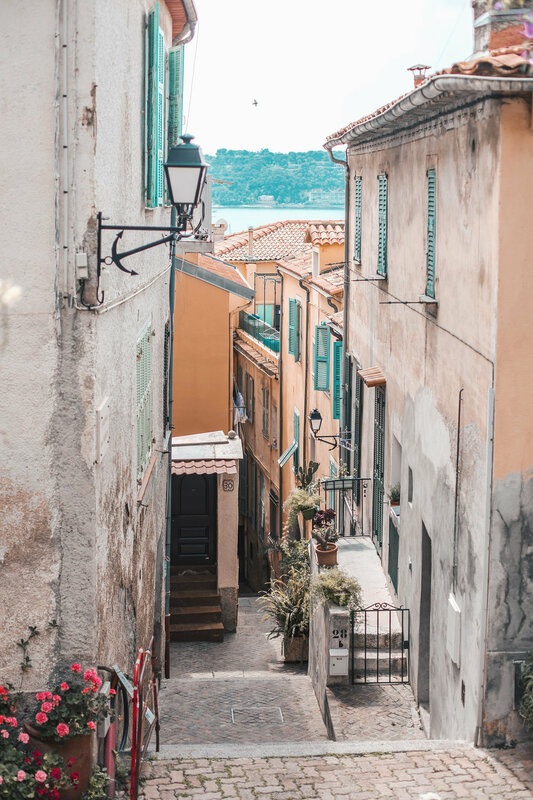 One of my favourite villages we discovered was the picturesque town of Villefranche-sur-Mer, hidden among one of the many bays along the opulent coastline. 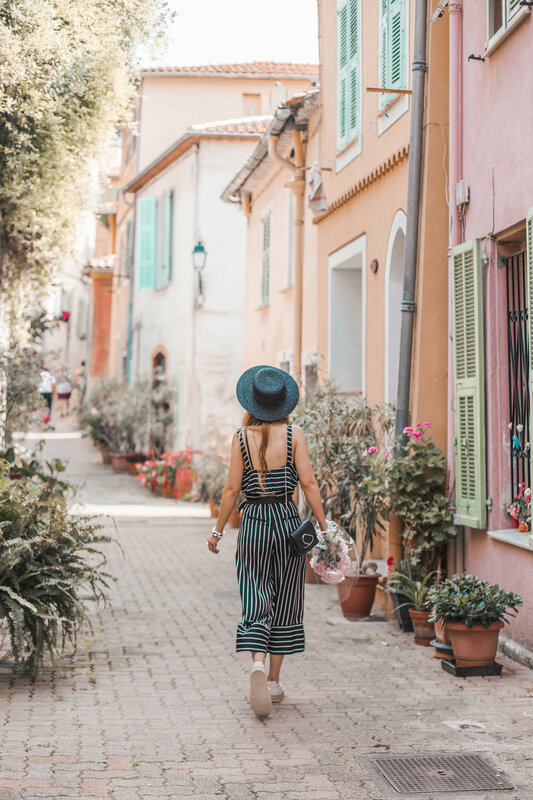 Wearing my new pieces from the beautiful PANDORA x Disney collection, it was hard not to feel the magic in such a beautiful town, filled with pastel buildings, narrow alleyways, flowering plants and pure joy. 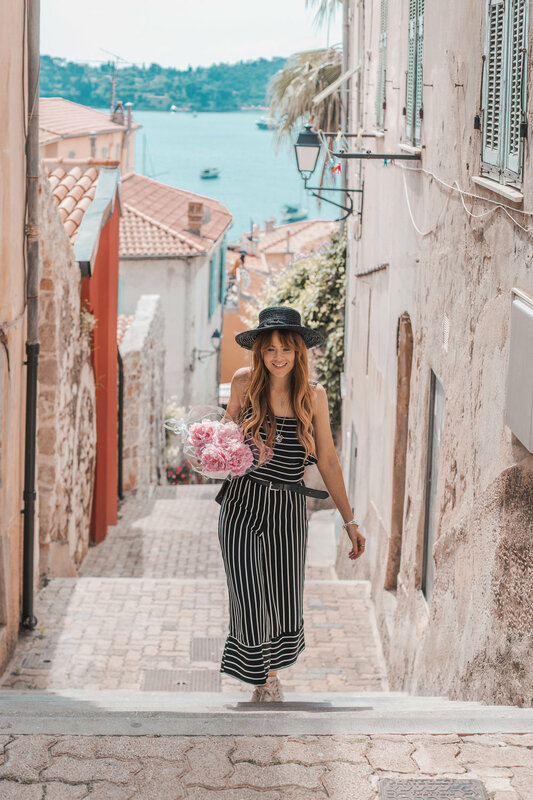 Embodying my inner Disney princess, I wandered down through the pretty passages, admiring charming cafés and stopping to smell the roses – or the oversized peonies we found at a hole-in-the-wall florist – along the way, I felt like I was carrying the magic with me. That’s the best part of this stunning new PANDORA collection; each piece adds a touch of Disney magic to your style and to your day. Every time my eye caught the classic hand crafted sterling silver PANDORA charms sliding on my silver bracelet or my treasured Mickey Floating Locket, I couldn’t help but smile as fond childhood memories filled my heart; the ones where I played dress-ups, built my own fortress and watched my first Walt Disney film (it was Alladin, by the way). Truth be told, I couldn’t think of a more charming location to forget the busyness of life and believe in magic again, if only for a moment. PANDORA x Disney jewellery collection (shop your favourites here), Lovers + Friends top and culottes, Lack of Colour straw hat, 3.1 Phillip Lim bag, vintage belt and Rag & Bone shoes.